Legacy Protection Lawyers, LLP has been selected as one of the top three Estate Planning firms in St. Petersburg by Three Best Rated®. Upon being reviewed for professional attributes that included reputation, history, complaints, local reviews, nearness, satisfaction, trust, and cost to generate excellence and verified using a 50-Point Inspection by the employees at Three Best Rated®, Legacy Protection Lawyers, LLP was excited to learn of this distinct honor. This has been yet another validation of its client-focused business model! 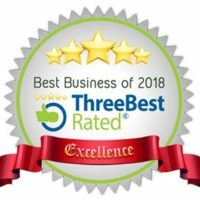 Three Best Rated® was created with a simple goal to find you the top 3 local professionals, businesses, restaurants and health care providers in any city throughout the country. Professionals do not pay to be entered or listed and only get displayed if verified by customers of Three Best Rated®. Their website is updated on a regular basis for quality and latest business information. Legacy Protections Lawyers, LLP is a boutique estate solution law firm who focuses its practice only on estate-related matters. Our team of professionals handle any and all issues concerning your estate – whether it’s planning, administration, or litigation. Our philosophy is to provide the highest levels of legal counsel, expertise and service to our clients.